It's never good news when your dad brings home a junker RV. But it's especially bad news for 12-year-old Maya. Her parents announce that the rust bucket in the driveway will be their new home and Maya will have to leave everything behind -- her house, her BFF, and her dream of becoming a country music star on Dueling Duets. As the family hits the open road, Maya plots to make it back to Nashville for the Dueling Duets auditions. But Operation Maya Goes Home, OMGH, turns out to be more complicated than she expected. There is so much to love in Nall's newest MG novel. It is the perfect road trip adventure, complete with majestic mountains, tranquil forests, a grumpy cat, and the cute son of Park Service rangers. The natural beauty of America -- from Yellowstone to the Grand Teton National Parks -- provides the perfect backdrop to Maya's dilemmas: what and where is home and how do you decide between family and your dreams? Tween readers are really going to love Maya's story (even though they must always be on the lookout for bears). Maya is sweet, funny, and hopelessly dedicated to her dream. OMGH is adventure-filled and fraught with challenges, just like middle school itself. Life is an adventure, filled with quirky characters and foiled plans, but it is on that winding road that we all find personal growth. I was grateful to read an ARC of Out of Tune. You've got to wait until November 8, 2016, to get your hands on a copy. 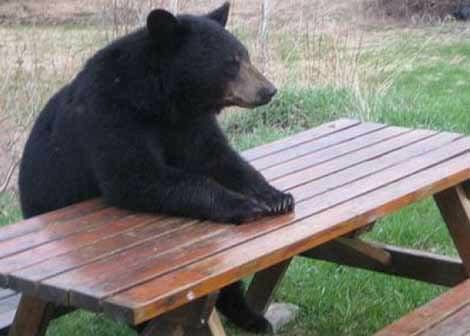 Until then, patient bear and I will wait for you. This looks great, and I love Nall's work. My public library doesn't have it on order, but I love the Aladdin Mix books and may just order a copy without reading it!